03/05/19 Trump Dismisses 81 House Document Requests. Here’s Where They Went. 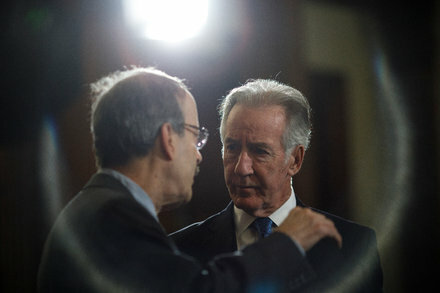 04/06/19 Congress’ new Mueller fight: Do Dems need to begin impeachment to see secret files? 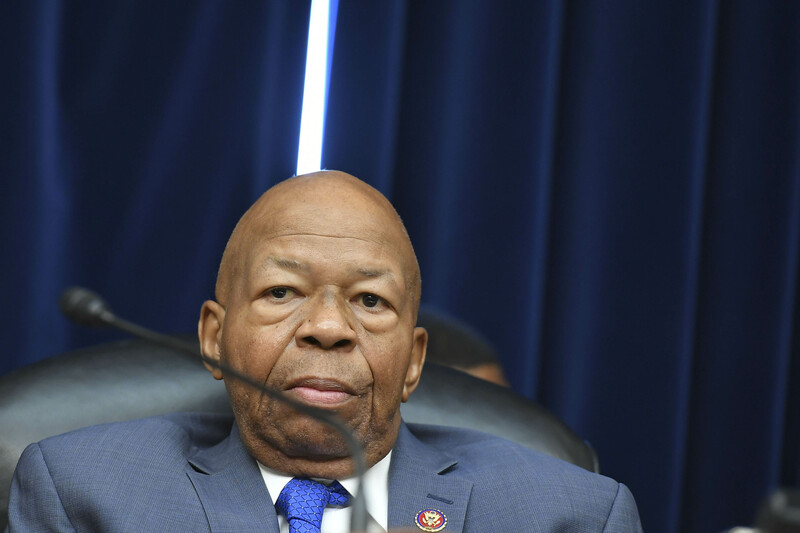 04/03/19 House Democrat Demands Six Years of Trump Tax Returns From I.R.S. Investigating: Trump’s meetings with Vladimir Putin. 04/09/19 Barr says he will release redacted Mueller report "within a week"
We’ll need something like this to keep track of the myriad of House investigations, especially as documents and testimony surface that spawn yet more investigations. We’re just a few days away from Felix Sater’s testimony. Thanks @Keaton_James It was time for this thread. I’ve made this post editable for to the entire forum, please help me up date as needed. Just follow the format for readability. Do you think I should add dates to each headline? I want add reported closed door testimony stories and a documents section to each committee as well. Might as well make robust. Hi @Pet_Proletariat. As I find articles that pertain to House investigations (e.g., new investigations, hearing dates, announcements by the committee heads, analysis, etc. ), I’ll add them as a post in this thread – similar to the way the “Who The F Has Left The Trump Administration” and the “All Things Mueller” threads have evolved. Does that sound good to you? Sounds good. I’ll organize. I want to see if a wiki style header is obtainable through this format for quick reference. Sometimes I can’t find all the incredible stories y’all post. Sater will not testify publicly this week. The House Judiciary Committee backed a Republican effort to look into claims that Deputy Attorney General Rod Rosenstein considered secretly recording President Donald Trump and raised the possibility of ousting him. The Democratic-led panel voted 22-0 Tuesday to advance a resolution for a vote by the full House that would request Justice Department and FBI memos that are said to describe internal discussions in 2017 to surreptitiously record Trump and invoke the Constitution’s 25th Amendment to remove him from office. If approved by the House, the resolution would amount to a formal request for the records, to be delivered within 14 days. 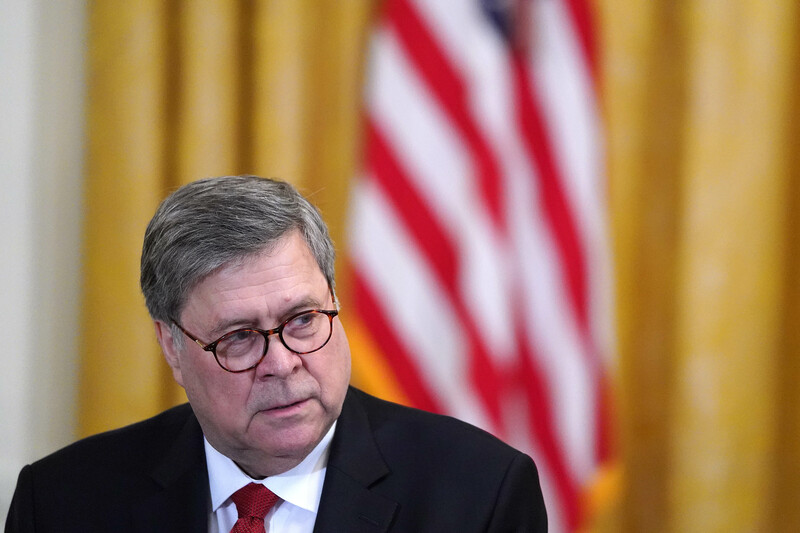 Full House approval would give Barr 14 days to comply with the demand for all records and communications concerning FBI investigations of Trump, as well any discussions within the Justice Department about secretly recording the president or seeking to replace him by invoking the 25th amendment to the U.S. Constitution. That amendment provides the procedures for replacing the president or vice president in the event of death, removal, resignation, or incapacitation. Nadler is going subpoena the full report. 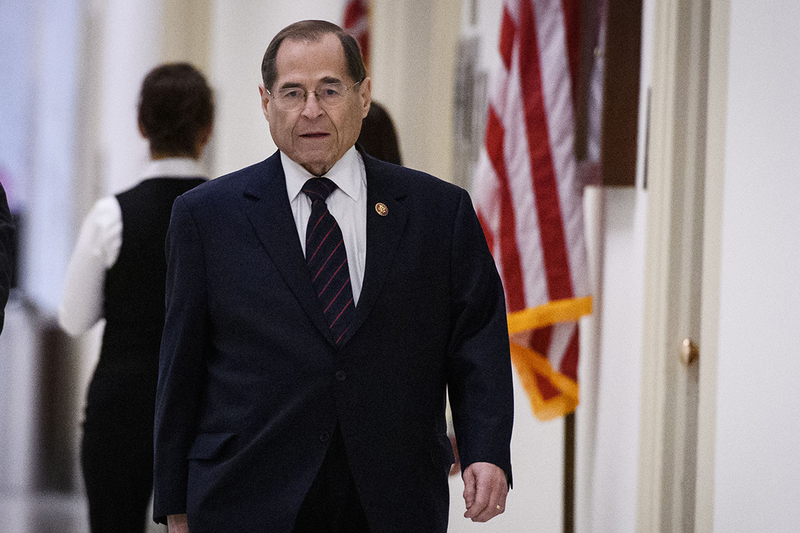 Rep. Jerrold Nadler said Monday he’s moving ahead with plans to press for the nearly 400-page Mueller report via subpoena. New Letter from Congress to Barr, requesting everything, including all the underlying evidence and Barr’s testimony. The threat of subpoenas come a day after the committee revealed that it interviewed Tricia Newbold. 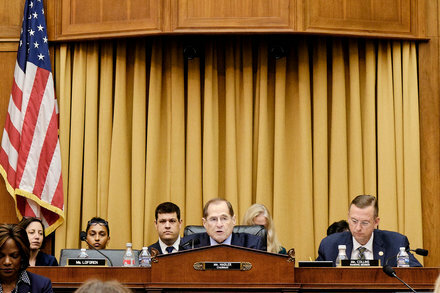 The House Judiciary Committee authorized its chairman on Wednesday to use a subpoena to try to force the Justice Department to give Congress a full copy of Special Counsel Robert S. Mueller III’s report and all of the underlying evidence used to reach his conclusions. The committee also approved subpoenas for five former White House aides who Democrats said were relevant to an ongoing investigation into possible obstruction of justice, abuse of power and corruption within the Trump administration. Day 803. The House Intelligence Committee is seeking an interview with and documents from a top organizer on President Trump’s inaugural committee. @Pet_Proletariat Thanks for the cross-link. I should have posted this here in the first place! I love this thread. Is the main post being updated like a wiki? @Matt I opened it as a wiki, will update the main post when I have time. If anyone wants to help, have at it, just any posts you’ve logged in the emoji box. The move came as other panels controlled by House Democrats were flexing their muscles. The House Judiciary Committee on Wednesday morning authorized its chairman to use a subpoena to try to force the Justice Department to give Congress a full copy of the special counsel’s report and all of the underlying evidence used to reach his conclusions on Russian interference in the 2016 election. I can help…but I do not have a clue what you are talking about technically. You can PM me.